For my 50th birthday trip to London Helen and I enjoyed numerous restaurant meals; Archipelago in Fitzrovia had to be one of the more unusual. From the first encounter on entry your senses are walloped by bold colours of earthy greens and Chinese reds. 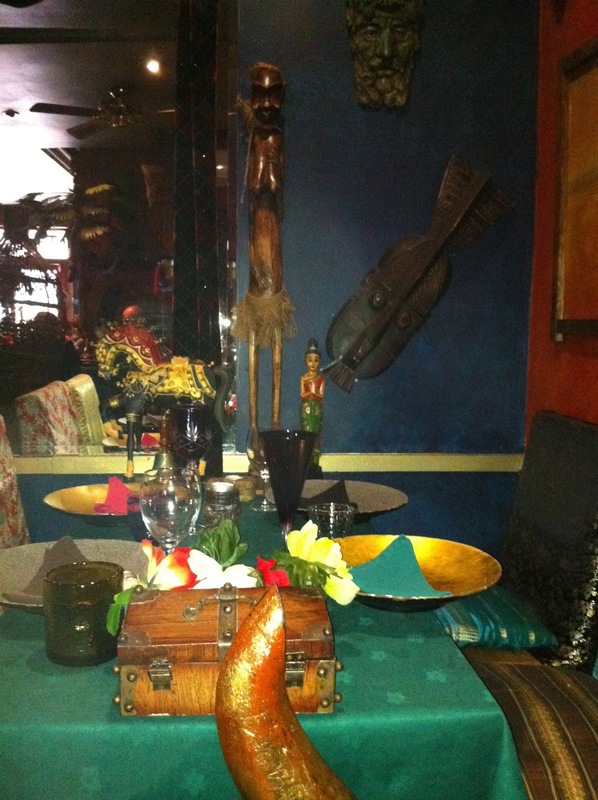 The menus are Indiana Jones inspired rolled-up scrolls and mise en place is a mixture of miss-matched flatware, cutlery, and stemware. Walls, tables, and floors are covered in buddhas, peacock feathers, and other Indo-Chine inspired art and sculptures. The real reason of our visit was to try the "exotic" lunch tasting menu £15.00 per person (minimum 2 guests) a sharing platter of African crocodile bits, spiced Australian kangaroo fillet, springbok "Ropa Vieja", Savoury Baclawa ( manouri cheese, basil and pine nut parcel), Soba Noodles with sour green mango , a side of toasted coconut and turmeric rice, and for a £3 supplement the "Lovebug salad" with deep fried chilil locusts and crickets on a bed of rocket. The springbok was my favourite dish with its deep earthy slow cooked flavours along with some tender well seasoned kangaroo. A hit and conversation starter with our table neighbours was the Lovebug salad. The deep fried chilli locusts and crickets had a "popcorn" like flavour and nicely balanced by the pepperiness of the rocket. Archipelago has a small compact wine list, less than 30 bottles, most starting at £30. 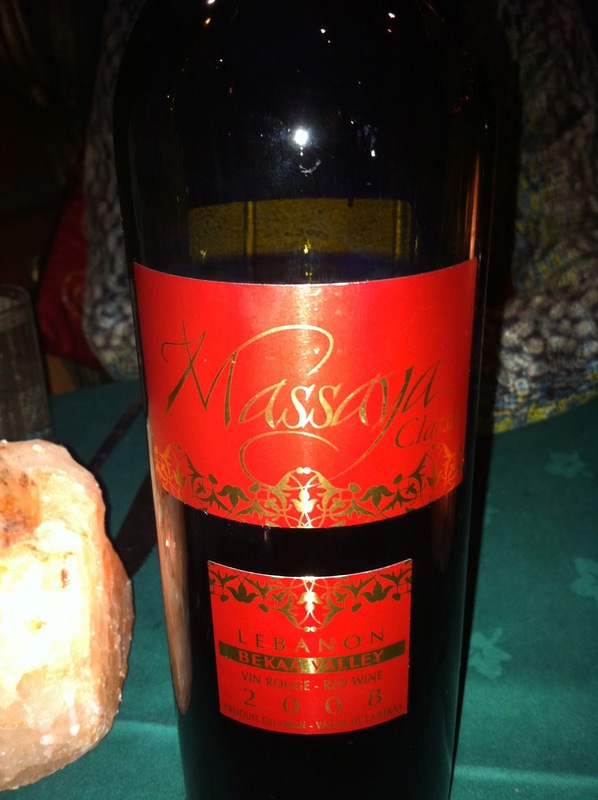 We opted for a bottle of Lebanese Massaya 2008 (St.Emilion/Vieux Telegraphe project) in the Bekaa Valley. A bit steep at £40, the wine is a blend of Cinsault, Cabernet, & Mourvedre, with some solid tannins, and flavours of leather, spice, tobacco, olive, and dark chocolate. In place of dessert I opted for a visit from the "witch doctor" our friendly and knowledgeable server reappeared dressed in a witch doctors outfit with a "medicine chest" of double shots of infused spirits. Overall a delightful lunch in London.